The counter at the Dairylane in Sandersville on a recent weekday afternoon. Big Mac. Whopper. Thickburger. The names of fast food burgers make a promise: lots of calories, delivered quickly. At least one fast food restaurant in Georgia has bucked that trend. At the Dairylane in Sandersville, about halfway between Macon and Augusta, their burgers are kind of like a trip back in time. As American waistlines continue to expand, we may find we wish other fast food joints would take that trip, too. If you want the full Dairylane experience, you might want to wait for a Friday night during football season, but really, any weekday will do. Brent Withrow is a regular with a regular order, which on a recent afternoon he placed under the big “Order Here” sign with the arrow pointing to the register. “I ordered small hamburger, small onion ring, small coke,” Withrow said as he waited by the counter for his order to be filled. It’s Dairylane’s small burger, their original, that keeps Withrow coming back. “You can get the big ones, but like I say, I just like the small ones,” he said. 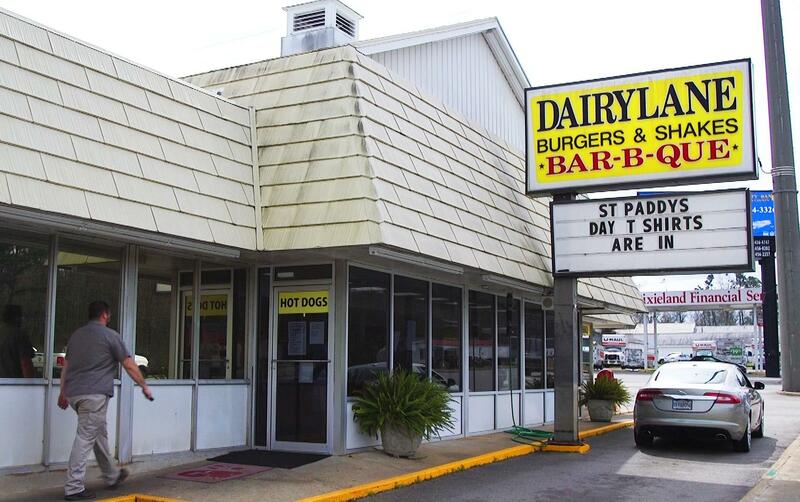 Virgie Collins has been cooking at Dairylane since 1967. In the kitchen she and a few other women werer busily building the burgers-patty, pickle, ketchup, mustard and mayo-before briefly steaming them at a poace fitting the food moniker. 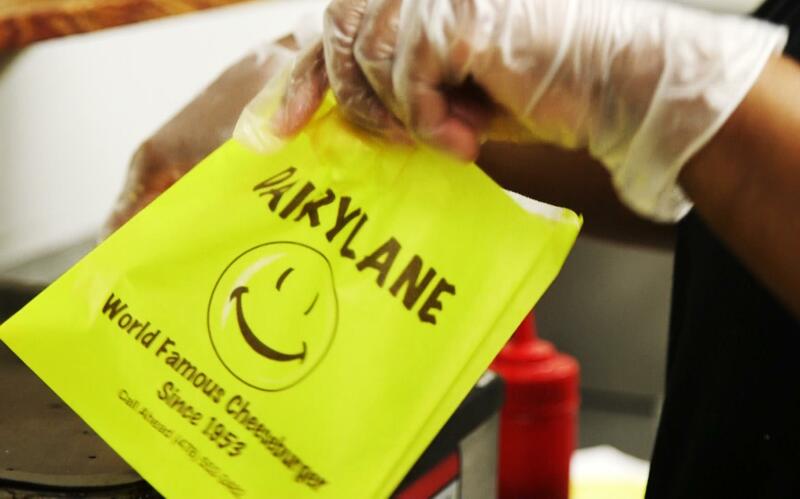 Collins said Withrow is not alone in his love for the original, small Dairylane burger. “The cheeseburger is the number one seller,” Collins said. “It’s been that way since 1953, ‘54,” Collins said. So Dairylane has locked their burger in time — a 1950s portion size in mega-portion world. But how different is it from something you’d get from a chain today? Marsha Lewis is a nutritionist at Mercer University who agreed to weigh two burgers, a Dairylane Cheeseburger and the smallest thing listed on the menu screen at McDonald’s down the street, a quarter pounder with cheese. The Dairylane burger weighed in at one and three fourth ounces. The quarter pounder came in at two and a half ounces. Lewis said the missing weight could have evaporated in the fridge over the weekend. About three quarters of an ounce is what separates the two burgers. Lewis said that translates to about 75 calories. So, imagine you add that to your dinner. Now, imagine that at breakfast and lunch, too. Lewis said that is a calorie total that, if eaten daily, can add something like half a pound to your weight a week. The front entrance to the Dairylane in Sandersville. That’s a back of the napkin comparison between old-school and present-day burgers. Megan McCrory is a nutrition researcher at Boston University who takes a far more comprehensive view in a study recently published in the journal of the Academy of Nutrition and Dietetics. There she looked at changes in fast food from 1986 to the 2016, the longest ranging look at changes in fast food portion size yet. 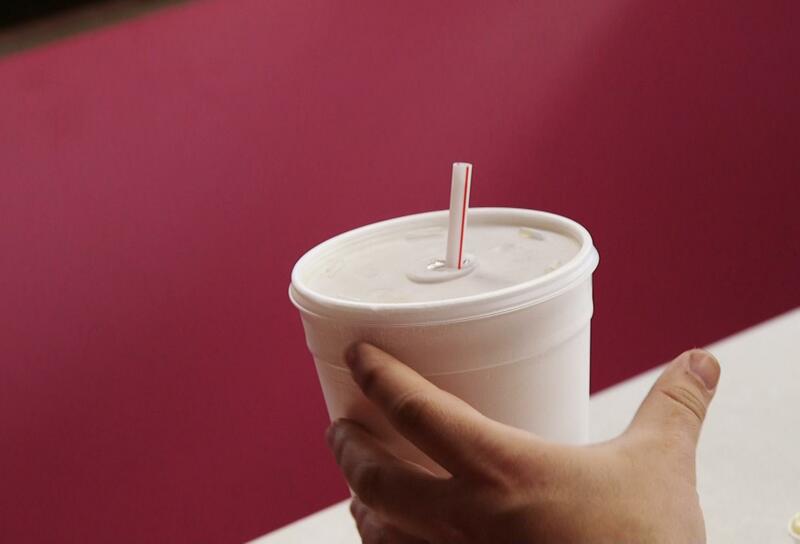 McCrory found that fast food entrees, which includes everything from burgers to even the salads that restaurants have begun offering in recent years, have grown on average by 90 calories over those 30 years. For McCrory, the change in desserts was the most alarming. So how did hamburgers and other entrees get grow by about 90 calories over three decades? McCrory said they crept up in weight about half an ounce every ten years. But McCrory said that even before hamburgers put on the extra weight in general people could eat just one burger and call it a meal. That is to say if smaller hamburgers magically came back tomorrow, American fast food diners would likely be ok with it. But, McCrory said fast food chains will probably not roll back the clock for us. That leaves it up to us to exercise some self-control. That fact that portion size matters is something Dairylane regular Brent Withrow figured out on his own. He’s lost 65 pounds over the last three years. So Withrow still treats himself at Dairylane. He just says one 1950s sized burger per trip is enough.